Some residents of Carmel have made famous this unique coast town. Legend says that Clint Eastwood was the mayor for several years. 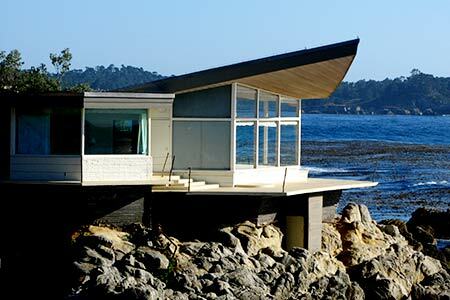 Some of the houses with sea views are real gems, like the one in the picture. When I visited Carmel, this house was for sale. Price Tag? More than 20 Million USD.